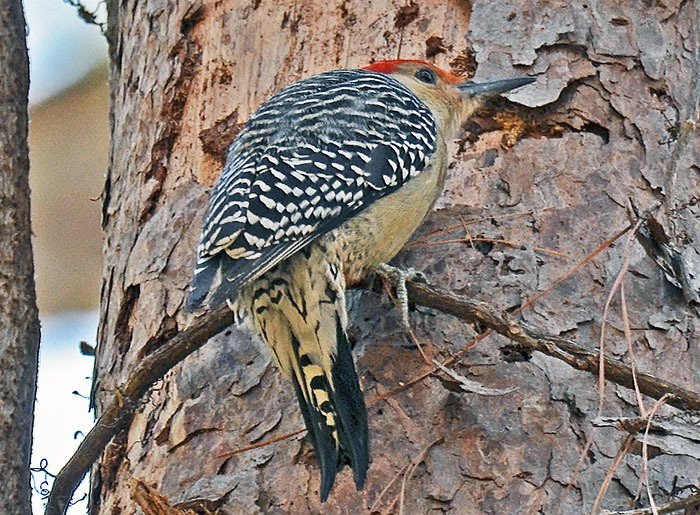 Melanerpes carolinus (Red-bellied Woodpecker) ♂. Size: approx. 250 mm. Photo: 01/07/18, noon. 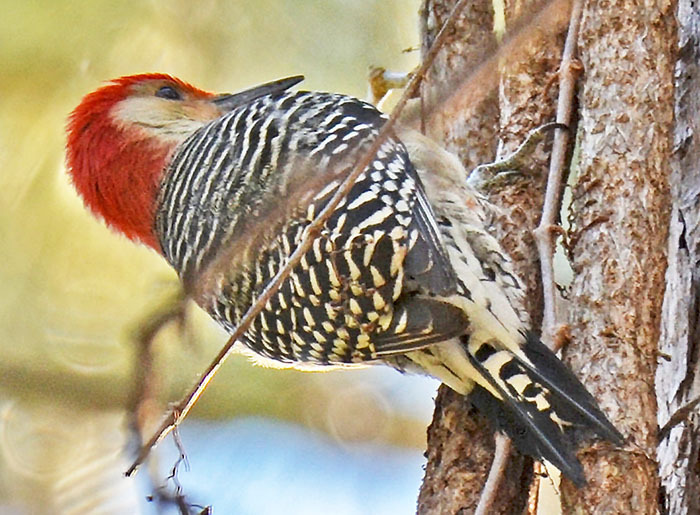 The name red-bellied woodpecker is misleading because the red plumage is on the head. It is closely related to the red-headed woodpecker which looks quite different. They are noisy birds and their calls have been described as sounding like churr-churr-churr or thrraa-thrraa-thrraa with an alternating br-r-r-r-t sound. Males tend to call and drum more frequently than females. The drums consist of six taps and are meant to attract mates. They drum on hollow trees and even on aluminum roofs and transformer boxes.